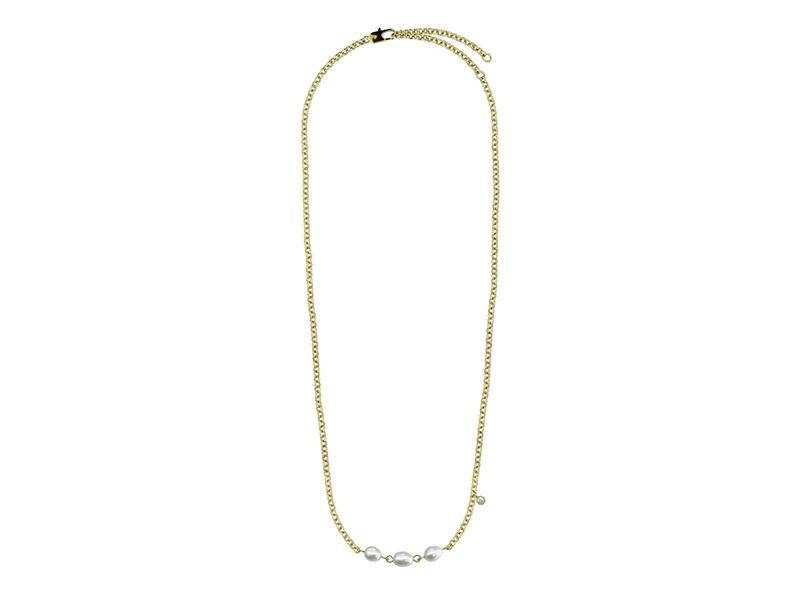 Necklace with three faux pearl pendants. Chain lenght is 40 cm + extension. Don't miss out on the latest Jewellery trends and news. Thick the box to subscribe.